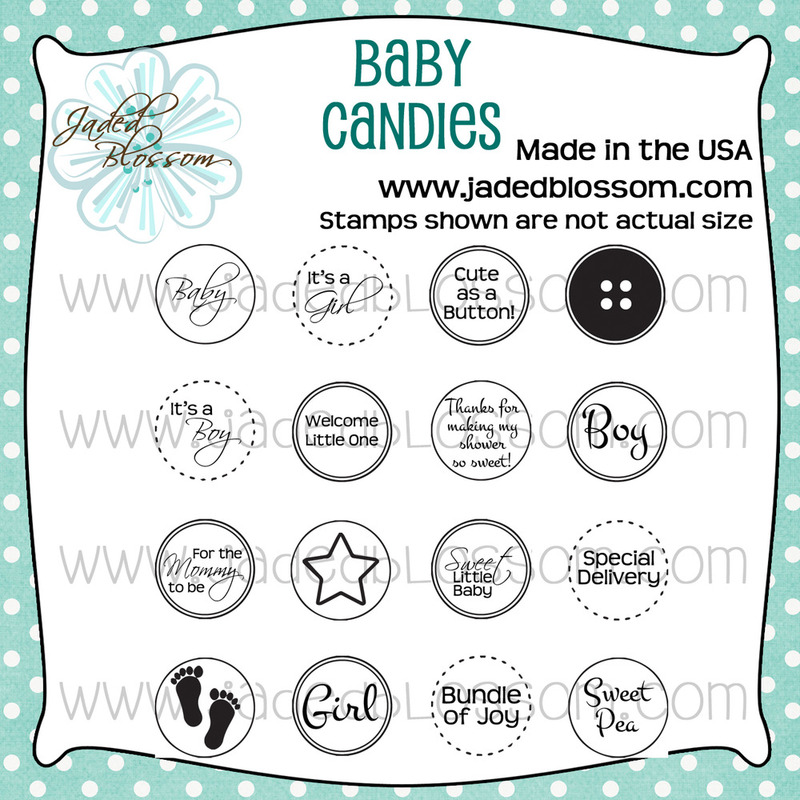 Hello and welcome back to another fun project I have design for my last April posting for Jaded Blossom Guest Designer. Thank you all for visiting my blog today and please be sure to stop over at the Jaded Blossom they have an amazing blog, store and fan page too. I know Michelle and Candace would love to have you all join us there. I would like to say a big thanks to them as well for letting me be there guest designer for them this past month it's been so much fun and I have learn so much from all of them on there design team. 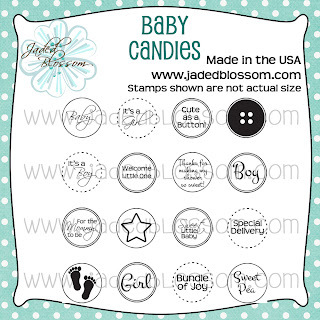 Thanks to the Jaded Blossom Design Team..
such a sweet baby treat idea! Oh so cute, love that little baby shoe!! Love this baby shoe Debbie...Thank you so much for Guest Designing this month...It was so great to have you on the team! This is adorable! you have done an amazing job this month!!! So cute! Debbie these are cute I am behind for the weekend been sick!! !